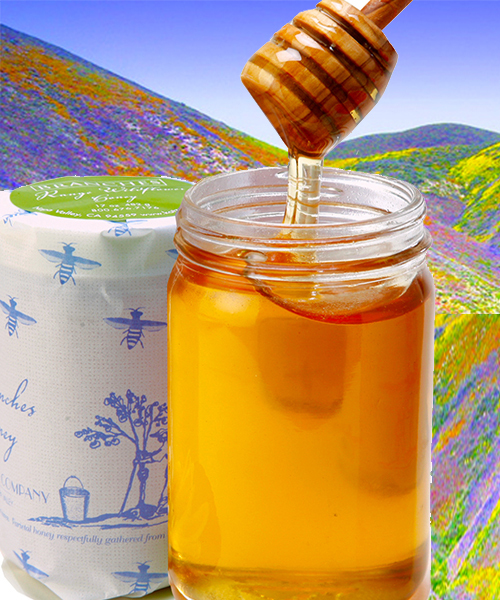 This honey is gathered from distinct flora of the California Sierra foothills; its flavor has hints of sweet spice (think nutmeg and clove), together with pleasant floral overtones and a rich molasses and brown sugar quality to the aroma and taste. It is 'brambly' in flavor from the multitude of flora available: wild berries, sweet clover, star thistle and finishes with a nice piquancy to balance the depth of character of this special honey…enjoy! SERVING SUGGESTIONS: If you like the taste of honey in your tea, a spoonful of Range Wildflower will brighten the moment; or try warming it a touch and drizzling over vanilla ice cream!